Occasionally, customers purchase pitching machines with false aspirations in regards to how accurate they think they will be. Hoping to work on hitting specific trouble-spot pitches, they believe that they will be able to purchase a pitching machine that will throw a perfect pitch on the lower outside corner of the plate every time, for instance. If you need that kind of precision, get a 5-Point, High-Low Hitting Tee. The fact is, some pitching machines are certainly more accurate than others but you will never find a pitching machine with pinpoint accuracy. Even the best 3 wheel pitching machine can have a variance of one foot or more, depending on a variety of things. Frankly, more than anyone, some pitching machine manufacturers are to blame for people's misconceptions. The boasts that some of them make are, in a word, "deceptive". 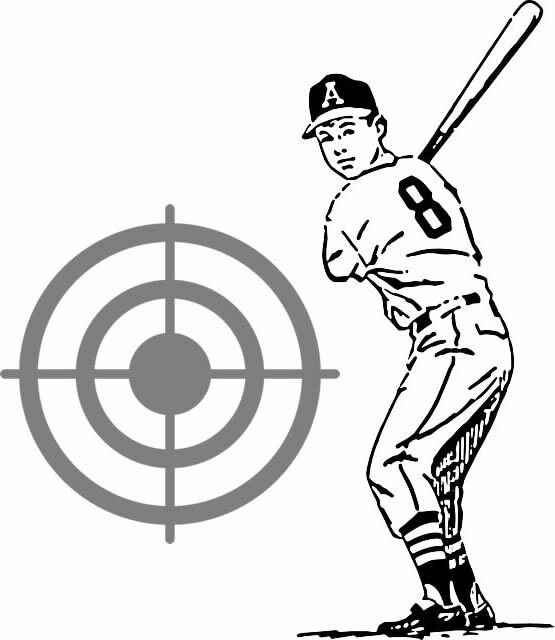 Anyone who claims that a pitching machine has "pinpoint accuracy" is not telling the truth, the whole truth and nothing but the truth. Unfortunately, even though a pitching machine is mechanical and does exactly the same thing every time, there are many other factors that influence how accurate they will be. Some have to do with the type of balls being used, some have to do with how the balls are being fed into the machine or user error and some are environmental influences. There is a reason that every pitching machine manufacturer recommends using dimple balls with a pitching machine. Not only are dimpled pitching machine balls far kinder to pitching machine wheels, which prolongs the life of the tires, they are FAR more accurate than balls with seams. Dimple balls are perfectly symmetrical, with perfect weight distribution and the dimpled design helps keep the ball flying on a true line. That is why all golf balls are dimpled! Regulation baseballs or softballs are far from perfectly symmetrical. As round as they may look, there are always slight imperfections that make them not quite as spherical as they may seem and those imperfections cause their weight to be slightly off-center. That's why you often see major league baseball pitchers rejecting new balls the umpire pulls out of his pocket! There's a reason pitchers are taught different ways to grip the ball (four seam vs. two seam, for instance). The ball moves differently as itleaves the pitcher's hand and approaches the plate, based on the alignment of the seams. The seams on regulation balls cannot possibly be fed into a pitching machine exactly the same each time. That quarter inch difference in the alignment of the seams makes a real difference when the wheels of a pitching machine grab the ball. If you want the most accurate pitches, you HAVE TO use dimpled pitching machine balls. They should be the same brand and the same age as the other balls, too. Also, NEVER leave pitching machine balls outside where they are exposed to the elements. When balls become water logged, they become heavier and harder. Not only will that affect the accuracy from ball to ball, but water logged balls could damage some types of bats. When you feed a ball into a pitching machine, it is hardly a static event. You have to let go of the ball at some point if you value your fingers! Just like you cannot perfectly align the seams of a baseball every single time, you cannot let go of the ball exactly the same way every time. With a real baseball, this means that the seams will contact the wheel in a different position every time, which will influence the flight path of the ball when it is ejected. In addition, there are various alignment screws on a pitching machine that affect the vertical and horizontal plane of the pitching machine head. If those screws are not SUPER tight, the head is going to move to some degree, up-down/left-right. One degree may not seem like much, but 60 feet away, it makes a BIG difference! If you are using a pitching machine with inflatable tires, over or under inflation can cause a pitching machine to be less accurate from pitch to pitch. If you are using the machine for a team's batting practice and throwing hundreds of pitches per session, the tire pressure WILL change from the first pitch to the last. Again, this is just a slight degree of change but all of these little factors add up! Another very common problem that affect's a pitching machine's accuracy is the distance the stop plate is set from the wheel on a one wheel pitching machine or the distance the wheels are set from each other on machines with two or three wheels. If the gap is too wide or too narrow, the machine will not be as accurate. If you are using a pitching machine outdoors, unless it is a dead-still day, there is going to be some degree of wind that affects a pitch. Even a small difference in wind speed will influence a pitch. The direction of the wind is never exactly the same from pitch to pitch, either, which also will affect the accuracy of a pitch, whether thrown by a human or a machine. Even temperature, humidity and barometric pressure changes have an effect. Although the tripod legs on a pitching machine assure that the machine will stay level, nothing is keeping the ground level. The force of the ball being ejected from the machine creates forward-backward as well as up-down motion. Unless you are using a pitching machine on an asphalt surface or indoors, the grass or dirt under the machine is going to be displaced a little with every pitch. Even if you are using a pitching machine indoors, the vibrations will cause the machine to move a little with each pitch. Unless you have the legs inserted into concrete holes or brackets affixed to a floor, the machine is going to shift a little with each pitch. Rain, obviously, is also going to have an effect on a pitching machine. The balls become heavier as they get wet and more slippery, too. When the wheels on a pitching machine cannot grip the balls as well, pitches start getting pretty wild! Inflate the tires to the manufacturer's specifications. Use dimpled balls - the same brand and age and NEVER LEAVE THEM OUT IN THE RAIN. If using seamed balls, TRY to insert them with the seams aligned the same every time. Don't use balls with a slick, protective coating on them. Make the ground as stable as possible. Set the wheel gap correctly. Make sure all screws are as tight as possible (without stripping the screw heads). Insert legs into unmovable brackets/holes in the ground. Use the pitching machine indoors. Pitching machines will never have pinpoint accuracy. That doesn't mean that they aren't one of the most effective tools you can buy for improving your hitting. The fact that they DO NOT throw a pitch in exactly the same place every single time is the thing that makes them so great. The best major league pitchers cannot throw a pitch in the same place every time so why would you want to create a false environment in your practice? The best hitters in the game will tell you that the key to being a great hitter is hitting YOUR pitch instead of chasing ones the pitcher wants you to swing at. Being able to adjust to pitches and learn which pitches to lay off of is integral to becoming a better batter. As long as a pitching machine can get at least 80% of the balls it throws in the strike zone, it's doing a far better job than any live pitcher you are likely to face. We are confident that all of the pitching machines sold on this website are at least that accurate. The Bottom Line: Embrace the slight variances between pitches as a good thing. It's really what makes a pitching machine such a great training aid!